REP. DANA ROHRABACHER (R-CA): Mr. Secretary, we think that there was a coverup of some kind of wrongdoing that led this administration to lie to the American people about the nature of the attack immediately after the attack and for a week after that attack. We need to have these questions answered. We need to talk to the people who are on the scene. Can you give us a commitment now that for this administration you will be coming up with the request, the honest request of this investigative committee as to who was evacuated and how to talk to them so we can get a straight answer and an understanding of what happened in Benghazi? 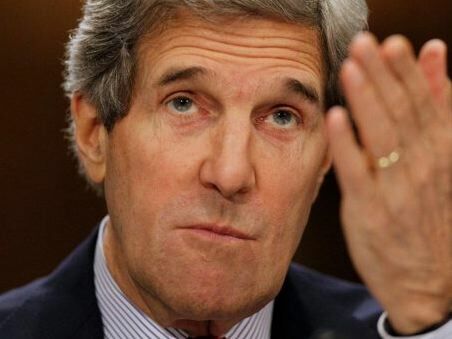 SECRETARY OF STATE JOHN KERRY: Well, before I became Secretary, Congressman, I believe I got the answers to who was evacuated and had a pretty good sense of what happened there. But now that I am the Secretary and I am responsible to you and the Congress, I can promise you that if you're not getting something that you have evidence of or you think you ought to be getting, we'll work with you. And I will appoint somebody to work directly with you starting tomorrow, with you, Mr. Chairman, to have a review of anything you don't think you've gotten that you're supposed to get. Let's get this done with, folks. Feinstein: Background Checks "Would Not Have Prevented Newtown"
John Kerry: Romney "Perpetrating A Fraud On The American People"